March brings with it the first few glimpses of warm weather, so encourage customers to get outside and enjoy the month. For example, send an email inviting customers to use your products or services as they shake off the cold of winter. The popular basketball tournament runs throughout the majority of the month, so consider ways to incorporate it through marketing. Host a bracket challenge for employees or customers with a prize at the end, or run a special for the person who can show they had the best bracket. March is also Women’s History Month, so be sure to include women in all of your marketing materials. Ask customers to share stories about the most influential women in their lives, or share about valued female employees within your company. Speaking of employees, March 6th happens to be Employee Appreciation Day! Share love for your team members and market the business with employee-driven content, such as a Facebook live interview with an employee. Soon after, Daylight Savings Time occurs on March 10th. Easily connect with customers by reminding them to set their clocks ahead one hour. This could be a simple social media post that relates to your customers and earns the business bonus points. Of course, don’t forget about one of the most delicious holiday! National Pi Day is, you guessed it, March 14th. This is a fun and silly holiday which some people might not know of, but you can still use to your advantage in marketing. Give green for going green! Celebrate St. Patrick’s Day by discounting a product or service for customers who wear green on St. Patrick’s Day. Or, run a social media promotion for customers that post a picture of themselves wearing green and tag the company in it. The first day of Spring is March 20th, so consider how you can wrap the event into your marketing strategy. It could be anything from a small window sign to a full-on email campaign, all centered around the new, fresh, happy first day of Spring. March is here. Is your marketing ready? 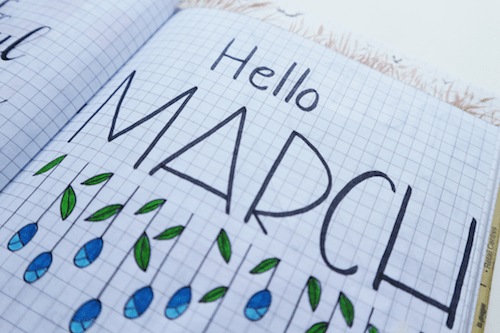 As we dive into the month, keep these holidays, events and ideas in mind to use in your marketing efforts to connect with customers and grow your business throughout the month of March.